The Trans-Pecos Pipeline has been a thorny subject in the Big Bend region since it was announced more than a year ago, with many opposed to the presence of industry in the region and others supportive in the hopes that it will bring an economic boost to communities along its path. But one of the lesser-talked about side effects of the pipeline has been the revamping of a long-shuttered railroad from Fort Stockton to Presidio. 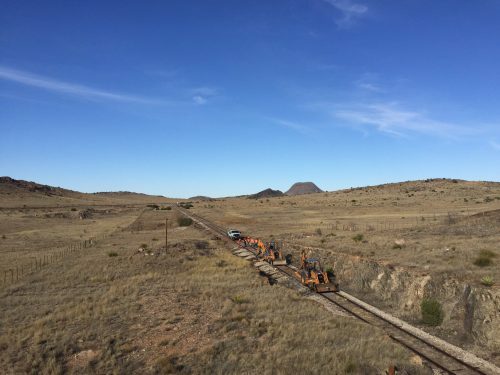 The Texas-Pacífico Railroad, the only U.S. rail subsidiary of Mexico’s mining and railroad giant Grupo México, has had a contract with the Texas Department of Transportation (TxDOT) to rebuild the old South Orient Railroad and a cross-border rail bridge since 2001. Under the contract, the company also agreed to re-build the Presidio-Ojinaga bridge that burned to the ground during two fires in 2008 and 2009. That project has lagged behind an initially expected finish date of June 2014, but thanks to an injection of cash from Energy Transfer – the company building the Trans-Pecos Pipeline – Texas-Pacífico expects to finish and open the railroad to cross-border traffic by December 2017. 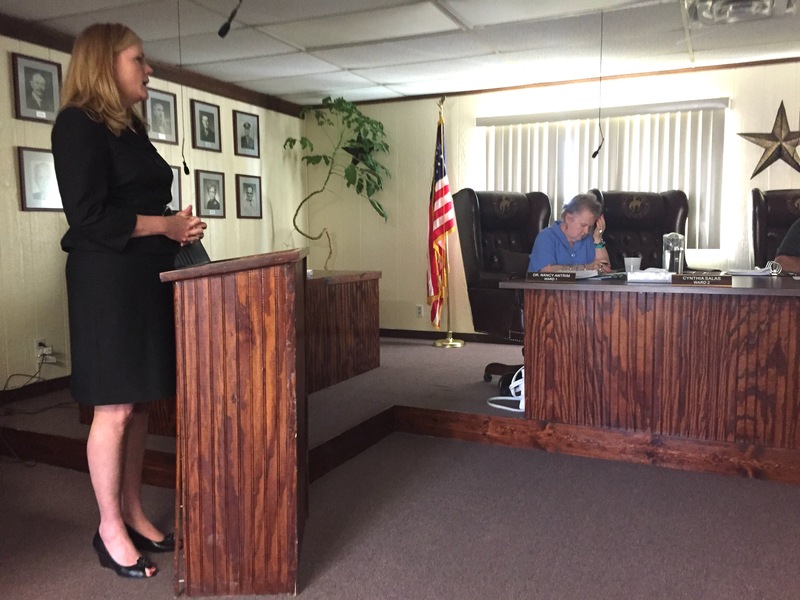 Elizabeth Grindstaff, the company’s V.P of Sales and Marketing, gave that update at an Alpine City Council meeting on Tuesday, saying the company has finished its job hauling pipe into the Big Bend region for Energy Transfer. “This project is now completed on our transportation side,” she told city councilors. 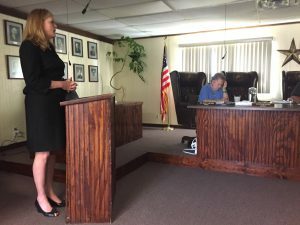 In an interview outside the council chambers, Grindstaff said she acknowledged the pipeline was a sticking point for many in the region, but said the railroad could not have turned down Energy Transfer’s business even if it had wanted to. Still, Texas-Pacífico has certainly enjoyed having Energy Transfer’s business. That new revenue has allowed the company to rebuild the line through an area south of US 90 in Presidio County, and to start thinking about potential new customers in Mexico. That “product” could be anything from beer to automotive parts to minerals – the company has said before that mine owners in the region have shown interest in using the rebuilt railroad. Texas-Pacífico’s primary business of hauling frac sand for oil and gas drilling has taken a hit since the price of oil fell, but the company isn’t ruling out the possibility of servicing the industry on this revamped line as well. “We’re not turning away anything related to oil and gas, but from targeting certain commodities, we’re more interested in diversification than just staying limited to an oil and gas-related railroad system,” Grindstaff said. This entry was posted in KRTS News and tagged Border, Commerce, Economics, Grupo Mexico, Presidio-Ojinaga Rail Bridge, South Orient Railroad, Texas-Pacifico Railroad, Trade, Trans Pecos Pipeline. Bookmark the permalink.